I think the first food that any of my kids ever tasted was a pickle. They absolutely love them. Their favorite beverage to have with their pickles is lemonade, odd I know! Seriously, these kids love pickles. You can only imagine their excitement when I made the first batch of refrigerator dill pickles! This week I had an abundance of organic cucumbers and decided that it was time to make homemade dill pickles. My goal was to make a delicious homemade version of the store-bought variety we eat and eliminate yet another processed food. The problem was that we had just run out of pickles so I did not have weeks to wait for my cucumbers to pickle. I looked around online and found a wonderful recipe over at One Perfect Bite for refrigerator dill pickles. I sent the kids out back to pick some dill while I chopped the cucumbers. 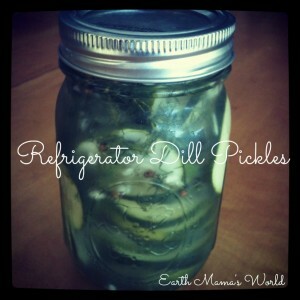 In only 24 hours we had delicious homemade dill pickles! Combine vinegar, sugar, salt, and all of the seeds in a bowl. Add hot water and stir until sugar dissolves. Set aside to cool. In a separate bowl place cucumbers, garlic, and dill. Toss to combine. Add liquid mixture to the cucumber mixture. Make sure the cucumbers are totally covered in the liquid, you may want to place a plate over the cucumbers so that they stay submerged. This is the first time that I used my bamboo bowls that my mama gave me as a gift, I LOVE them! Cover the bowl and refrigerate overnight stirring a time or two. I store mine in mason jars in the fridge. I assume that they would last 2 weeks but mine never make it that long! 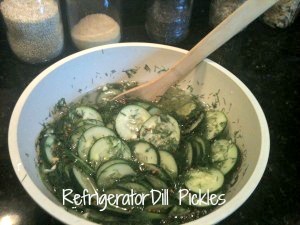 I do want to attempt making authentic dill pickles one day but for now these homemade refrigerator dill pickles are an awesome replacement to the store-bought pickles. 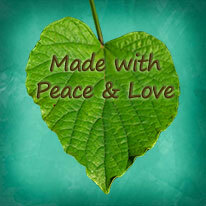 If you have a pickle recipe that you would like to share I would love it! 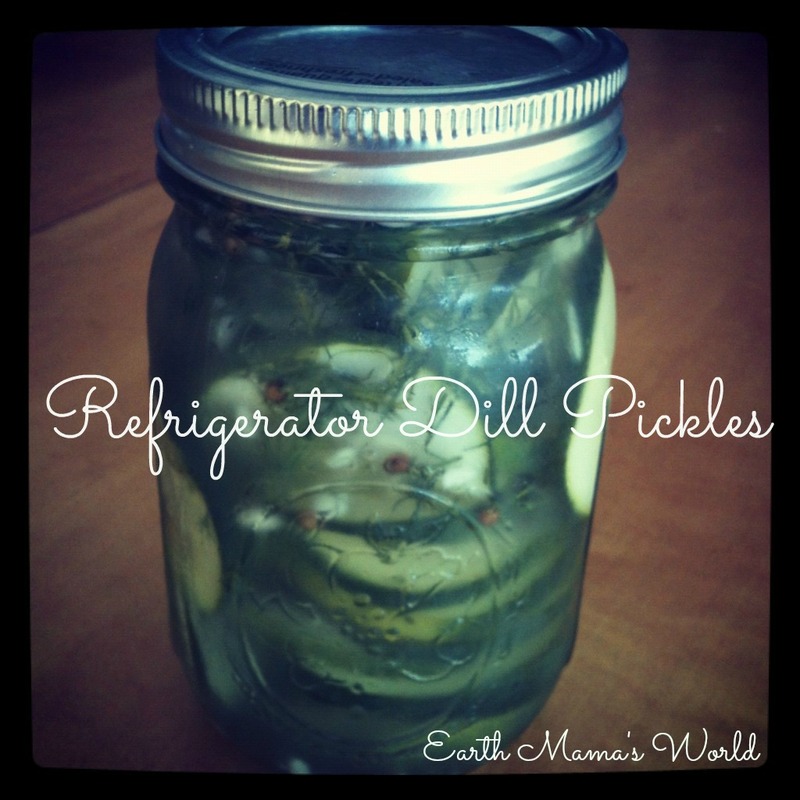 Refrigerator dill pickles are a healthy and easy way to make homemade dill pickles.